Cristiano Ronaldo was happy with his brace as he raced to the top of the Capocannoniere charts but admitted he was disappointed Juventus could only settle for a 3-3 draw with Parma. 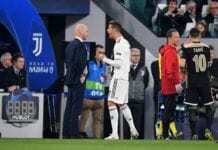 Ronaldo claims Juventus would not press the panic button despite a turbulent week that resulted in their exit from the Coppa Italia after a shambolic 3-0 loss to Gasperini’s Atalanta. He scored twice this evening to take his tally up to 17 Serie A goals, but his team still couldn’t get the full points after defensive lapses allowed Gervinho to equalise for Parma. “This is football. 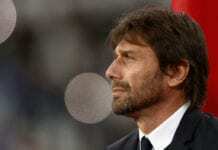 I’m happy for the goals, but not the result,” Ronaldo disclosed in a quote cited on Football Italia. The Bianconeri do seem to be struggling lately, as they fought back to beat Lazio 2-1, lost 3-0 in the Coppa Italia to Atalanta midweek and were held on home turf by Parma in stoppages this evening.